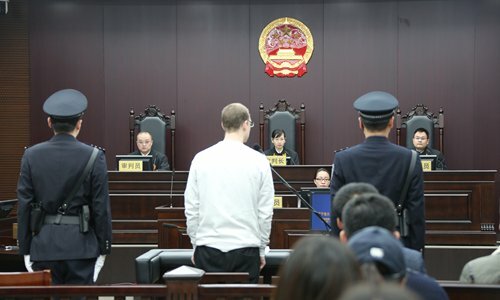 A court in Dalian, Northeast China’s Liaoning Province on Monday sentenced Canadian Robert Lloyd Schellenberg to death for smuggling drugs and participating in organized international drug trafficking. Schellenberg, 36, was convicted of smuggling 222.035 kilograms of meth. 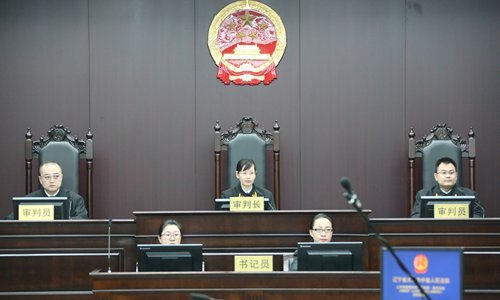 All of his personal property will be confiscated, the Intermediate People's Court of Dalian announced at Monday’s retrial, 16 days after the Liaoning Provincial High People's Court sent back the case. Prosecutors claimed that Schellenberg was the primary culprit in the attempt to smuggle 222.035 kilograms of meth to Australia and was also suspected of participating in an organized international drug trafficking syndicate. According to the prosecutors, they received tips from a man surnamed Xu, who was the contact of Canadian Camela (pronunciation) in Dalian and helped him buy tires and rent warehouses to store the meth without knowing the truth. Xu, the witness, told the court that he picked up Schellenberg under instructions from Camela and accompanied him to buy tools in warehouse mall. The court said Schellenberg tried to conceal the meth in tires and transport them to Australia. Meanwhile, Schellenberg was also found to have connections with two other drug smugglers surnamed Jian and Mai with financial support from the same source. Jian and Mai were sentenced by the Intermediate People’s Court in Hangzhou, Zhejiang Province. The court said prosecutors produced new criminal facts, and that the verdict did not violate the principle of no additional punishment for appeal. The new criminal facts refer that Schellenberg was not only the major culprit of drug smuggling but also engaged in organized international drug trafficking. Lin Wei, a professor at the Chinese Academy of Social Sciences who attended the trial, told the reporter that according to China’s Criminal Law, the suspects who engage in extremely serious drug crimes shall be sentenced to death. “This also applies to foreign criminals,” he said. Schellenberg showed up in court wearing a white sweater. He looked calm after hearing the verdict. He claimed in court that he was framed by Xu and had nothing to do with the case. “I am innocent and I am only a tourist. I did not buy tires and rent warehouses,” he claimed. Schellenberg's attorney Zhang Dongshuo told the Global Times in court that his meetings with the defendant were guaranteed and carried out smoothly every time. 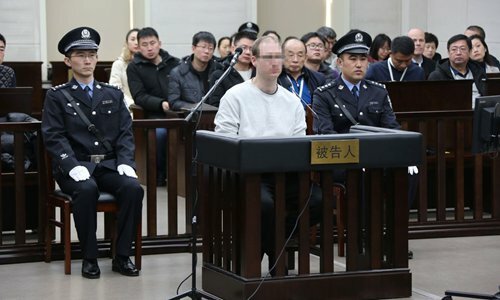 Zhang said Schellenberg changed his lawyer and chose him based on the recommendation of the Canadian Embassy, and the embassy has been closely following the case. Three staff members from the embassy attended the court and they refused to make any comments. Legal experts said it conforms to the legal procedure that the retrial was conducted so soon. The Dalian Intermediate People’s Court heard the case on March 15, 2016, and the first sentence of 15 years in jail was slapped on him on November 20, 2018 for drug trafficking and his personal property of 150,000 yuan seized, and ordered that he be expelled from China. Schellenberg appealed after the first sentence. He entered China on November 19, 2014 and was detained by police on December 1, 2014 in Guangzhou, Guangdong Province when he was trying to leave for Thailand. The proceedings started at 8 am and ended at 8 pm.